The updated Bajaj Pulsar 150 Twin Disc has started to arrive at dealerships, and we have already published updates about the motorcycle. However, the price of the 2019 model is yet to be disclosed by Bajaj Auto. 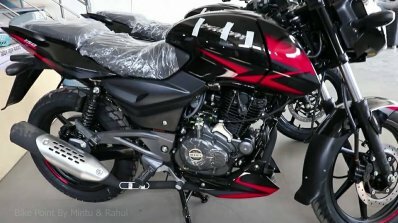 While we await official details, a YouTube video claims that the 2019 Bajaj Pulsar 150 Twin Disc will be available at approximately INR 98,000 (on-road in UP). The most noticeable feature on the updated Pulsar Twin Disc is the new underbelly panel that gives the motorcycle a sportier look. The bike also gets new graphics that are available in two colour options – black-and-red and black-and-blue. The updated Pulsar 150 Twin Disc is a mid-life upgrade before all new models arrive in 2020. 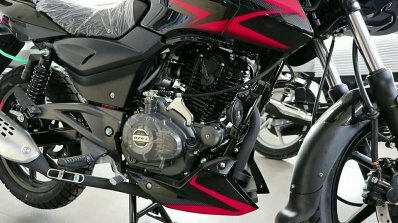 In an interview in September, Rajiv Bajaj, Managing Director of Bajaj Auto spoke about the future of the Pulsar brand stating that the company would use the arrival of new emission norms as an opportunity to introduce the model range in the new avatar. Thus, apart from the visual upgrades, there are no changes to the 2019 Pulsar 150 Twin Disc. 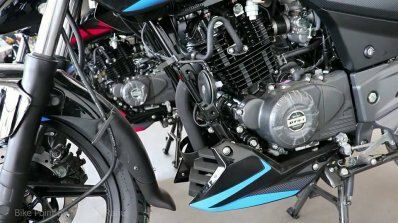 Propelling is tasked to the existing 149.5cc, single cylinder, twin spark motor that churns out 14 PS of maximum power and 13.4 Nm of peak torque. The engine is mated to a five-speed gearbox. Stopping power comes from a single disc on both ends while the safety net of ABS is not available. Expect the ABS-equipped model to arrive very soon as the upcoming norms mandate the installation of the safety feature on all two-wheelers with a displacement of 125cc and above from 1 April, 2019. The 2019 model also gets new graphics that are available in two colour options – black-and-red and black-and-blue. 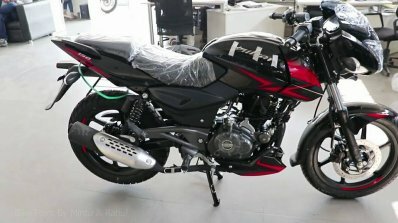 Earlier this month, Bajaj launched the special edition Pulsar 150 Classic in the Indian market at INR 64,998 (ex-showroom Delhi). 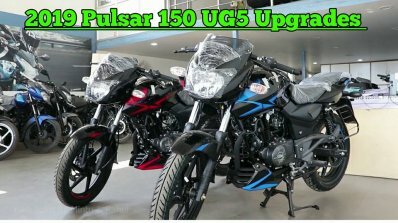 The new models are targeted to boost the overall sales of the Pulsar brand. Bajaj Auto had set a target of 90,000 units per month for the Q4 of FY2018-19. The Pulsar brand started achieving the goal as the cumulative sales stood at 90,363 units in October 2018 (against 60,679 units in October 2017). Of the 90,363, the Pulsar 150 range accounted for 63,957 units. In comparison, 150cc range clocked sales of 36,010 units in the corresponding month last year.